What does it mean that God is three in one? How is God three in one? How does God, as Trinity, relate to us? How do we relate to a triune God? Why is it so important that we understand God this way? These are the questions we wanted to attack at our Trinity Topical night this term. We kicked off the night in usual CY fashion, singing, praying and having a game before we got into the mind-exploding part of the evening. It is quite a challenge to explain the inexplicable Trinity and its relevance to a room full of high schoolers in forty minutes, but our speaker Murray Smith, a lecturer at Christ College, did an awesome job of growing our understanding of God as he showed us where God reveals Himself as a triune God with passages from all over the Bible. Often when we talk about the Trinity we get caught up in trying to understand or explain how God can be three in one. While Murray did touch on this briefly, his talk titled ‘The Triune God: the God of love in a world of broken relationships’ instead focussed on what it means that He is a triune God – the implications for our understanding the character of God and how He relates to us. Murray began by taking us through the story of the triune God – from the beginning, before creation, from Genesis right through to revelation and to new creation. He explained how even though the Bible describes God in many ways – he is holy, just etc. God is not just described as loving, He is love. He did not create the world out of a lack, rather the love that exists in the Trinity overflowed in creation and in the sending of His Son to redeem us. Throughout the story of Jesus’ life we also learn a lot about the relationships in the Trinity. The Father enabled the Son by the Spirit (Luke 3:21-22), the Son offered perfect obedience to the Father by the Spirit (Hebrews 9:14), The Father raised the Son by the Spirit (Romans 1:3-4), The Father and the Son poured out the Spirit on the church (Acts 2:32-33), the triune God dwells among His people (John 14:23) and in new creation, we will have eternal life in the love of the triune God (Revelation 7:14-17). Why did Murray take us through this story? Firstly to show us that everything God does, He does in Trinity; all the way through, there is One God working in three persons. Secondly, we see that the whole story is about God’s overflowing love. It’s hard for us to comprehend the magnitude of God’s love and how He could possibly love us. Murray used a great analogy: God’s love is not like a dripping tap, which can be contained by an ice-cream bucket; it’s like standing under Niagara Falls with that same ice-cream bucket trying to contain the millions of litres of water flowing down every second. The water overflowing is so overwhelming, so over-powering, and so wonderful you can’t hold it in. God’s love is like that. His love doesn’t depend on anything in us. The source of His love is in Himself. We haven’t attracted or earned God’s love. We’ve rejected Him and fallen into sin. So why does He love us? Because He is love. The phrase ‘God is love’ gets thrown around a lot, often I think with an understanding that only scratches the surface; this talk gave us a far deeper understanding of what that means. We instead turned to the Bible for some insight into the triune God. In Matthew 28:18-20 for example, disciples are to be baptised in the ‘name’ of the ‘Father, and of the Son and of the Holy Spirit’ – one name, three persons. There is one God, not three Gods. There are three persons, not three roles - God is all three at the same time, and at several points in the Bible we see all three persons present, such as the baptism of Jesus. Each person of the Godhead is fully God, not just a part of God. We looked at the shield of the Trinity as a helpful diagram. 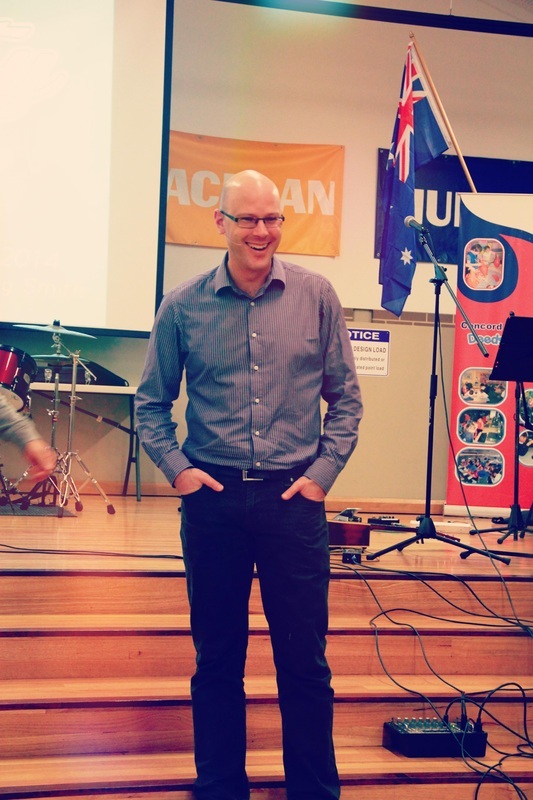 The final part of Murray’s talk brought it all together as he talked to us about the difference it makes to know the triune God, the reality that love is at the heart of the universe. Firstly, God calls us into His life of love, and we are invited to share in the relationship that Jesus has with His Father (Galatians 4:4-7) and to learn to love Him with every fibre of our being, the first and greatest commandment (Matthew 22:35-38). Secondly, God calls us to love each other as brothers and sisters in Christ; we are united in Christ, we do not create unity, God did that, but we are to keep it (Ephesians 4:1-7). Lastly, God calls us to flood the world with His love (Matthew 5:43-48). Murray encouraged and challenged us that the best way to love people is to tell them about God’s love for them. We tell them about the love of the Father that he displayed when He sent His Son to die on the cross. How do we do that? God’s Spirit enables us and gives us strength to share. Even in our love of unbelievers, again we see the triune God is at work. After the talk, and a few moments to give our brains a moment to recover from exploding, we had some discussion time thinking through some challenging questions. 1) How is life as we experience it a reflection/implication of the doctrine of the trinity? 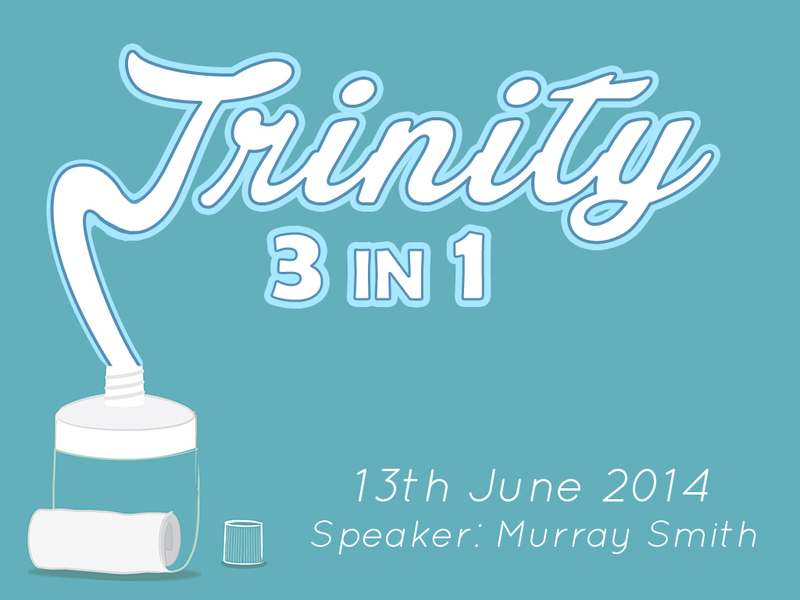 2) How does a deeper understanding of the trinity change the way we act in these relationships? A Q&A ended the evening and we had some great questions grappling with understanding the Trinity. One was about submission within the Godhead (e.g. Jesus submitting to the Father) and how that can be if all three persons are equal – Murray explained that there is order to their relationship and that doesn’t make them unequal. Another was asking how we can best explain the Trinity -Murray made the great point that the best way to talk about God as Trinity is actually to tell the gospel. All analogies over-simplify God and He is too wonderful for a simple analogy. It was a great way to finish the night and really showed how the CYers had been challenged in their understanding of God. 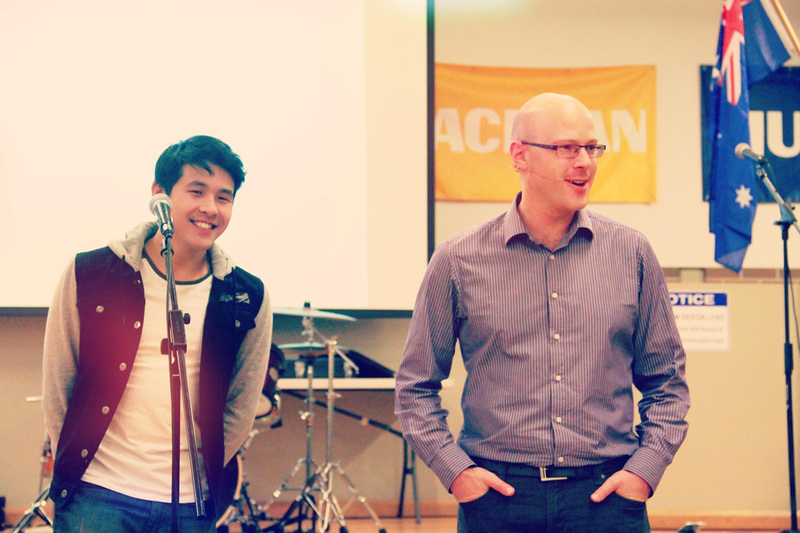 The Trinity topical was a really valuable night for everyone, youth and leaders. Everyone’s minds were stretched and blown and we all went home with a deepened understanding of God, what it means that He is three in one, and how that changes the way we relate to God, and to each other. Both the talk and the Q&A are available for download on the Cornerstone website, I encourage you to have a listen, or a re-listen.